Vance J. Elliott Realty Group has a number of beautiful homes for rent in Austin and San Marcos, TX. Contact us today for more information. 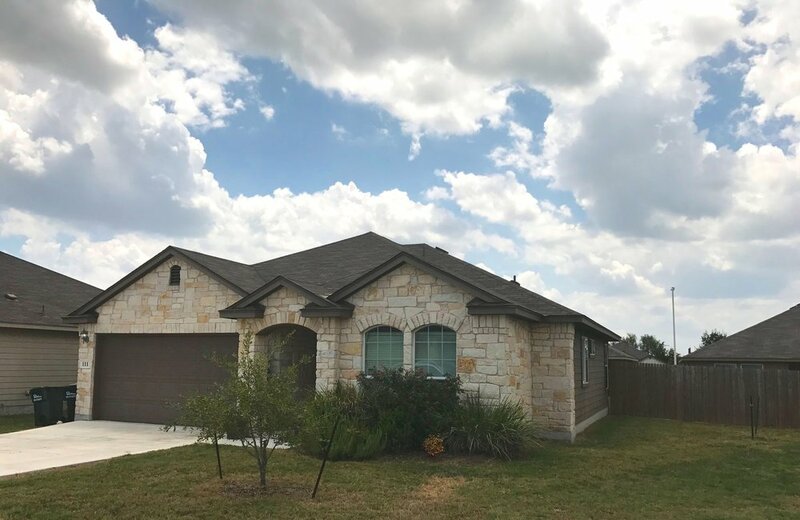 Our realty company, Vance J. Elliott Realty Group, has beautiful single and multi-family homes for rent in San Marcos, TX, Austin, Round Rock, Buda, Kyle, and central Texas areas. Charming two story home with hill country rock exterior. Four bedroom, two and a half bathroom home with master located downstairs. Granite counter tops in the kitchen and walk in shower in Master Bathroom. Screened in patio in the large backyard and balcony upstairs off of game room. Two car garage with an air conditioned room off to the side. Comes with sprinkler system and security system. Available: Yes - End of June to Early July 2019! Adorable 2-Bed/1-Bath House built in 2012. Driveway parking. shares backyard with neighbor with a chain link divider. Includes a washer and dryer, stain concrete floors throughout the entire property, spacious bedrooms, and gorgeous trees surrounding property. 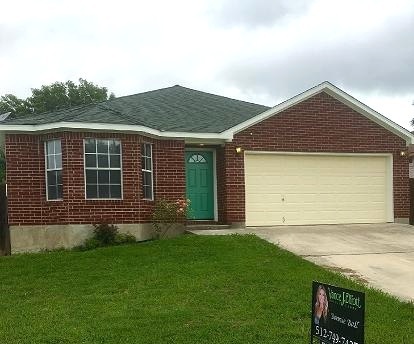 Lovely 4 bedroom, 2 bath single story home in the Hometown Kyle Addition. Spacious open floor plan, gourmet style kitchen, open family room with large pantry/utility room. The master suite features a large walk in closet, garden tub and separate shower. 3 Bedroom, 2 bath home across from west campus! Students welcome, zoned (MF), ceramic tile, open floor plan! Pet Friendly! Awesome location! 3-bedroom 2-bath home across from west campus! Students welcome, zoned (mf), ceramic tile, comes with a full-size washer dryer, open floor plan, nice outside decks to chill. Pet Friendly! 3/2 Peaceful, bright, spacious, affordable, cute layout, large master bedroom, close to schools. Large backyard for kids to play! Pet Friendly! 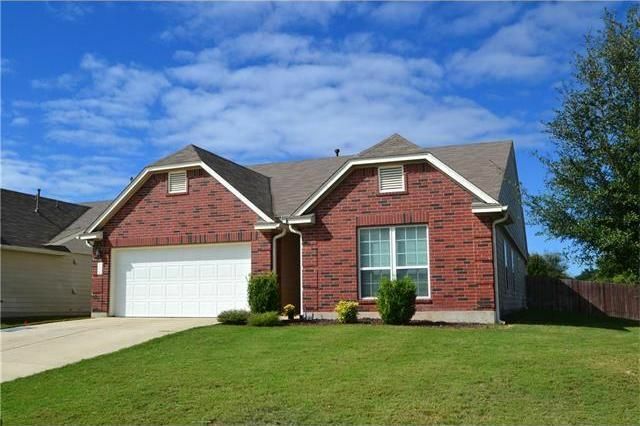 Lovely 3 bedroom 2 bath home the in the trails of Kyle. Easy commute to Austin, San Antonio, San Marcos. Large back yard. Great school district! Entertainers Delight! Large 4 bedroom 2.5 bath 2 story, single family home with tile floors, huge backyard and tons of space! Tons of windows, light, open floor plan. On a cul-de-sac. All rooms are very large. Wonderful home in the Hills of Hays off of Hwy. 123. Easy access to I-35, shopping and restaurants. Ceramic tile through out and shaded yard with nice trees. Full washer/dryer connection, pets ok on approval. Beautiful remodeled home in the Hills of Hays. Huge backyard perfect for the outdoor enthusiast! Garden beds already there. Large covered back porch, stainless appliances, all tile floors for the PET Lover! Adorable 2/2 house with hardwood floors convenient to campus. Nice big yard, deck with a view! Adorable House with contemporary feel, large backyard, elegant interior with fireplace and 2 car garage. Adorable home in the Hills of Hays. Completely remodeled. Wood laminate floors, granite counters, mosaic tile backsplash and stainless appliances. Large backyard with storage shed. Available for rent: Yes - Late June 2019! Rustic 2 bedroom, 2 bathroom, house located in the quiet neighborhood district of San Marcos. Large backyard, 1 car garage, and brand new washer and dryer included. Available for rent: Mid to end of July 2019! Lovely one story, 2 car garage, single-family house located in the Hills of Hays subdivision. Central heat and air, water heater is electric. Has privacy fence for very large back yard. Tile floors in living area with wood laminate in bedrooms. Contemporary house on a cup-de-sac in El Camino Real. 3 bedrooms with open floorpan, full size washe/dryer and electric stove. Fenced backyard. Adorable remodeled gem in Hillcrest! 3/2 with wood floors, tile, granite counters! Featuring a large family room, breakfast room, and formal dining. Comes with a Refrigerator and Washer and Dryer connections! Artificial grass in the front yard for low maintenance fenced back yard in the back with a large patio and lovely cul-de-sac street for ultimate privacy. Beautiful clubhouse with access to a large pool and park! Easy access to retail, restaurants, and grocery stores. Immediate move in! *Owner pays HOA fees!! Newly renovated home in a growing subdivision in Kyle. 4 Bedroom, 2.5 Bath with large entertainment room upstairs. spacious newly sodded and landscaped backyard, with privacy fence. Wood laminate downstairs and carpet in the upstairs and bedrooms. Washer and dryer hookups. Great curb appeal on this adorable 3/2 home, with landscaped yard and sprinkler system. Entertainer's living room which is open from the kitchen and beveled glass study. Large master bedroom as well! Call for a viewing. Adorable home in Kyle just minutes from I-35 for an easy commute to Austin, San Antonio, San Marcos. Spacious home with formal living and dining room and fenced backyard for entertaining! Large 3 bedroom with great floor plan and large backyard. 2 Story with large Master upstairs, tons of windows and bright light! Adorable home in El Camino Real, right off hwy 123. Nice fenced yard, open family room into kitchen and large master with shower and tub. Lovely home in Bishop's Square. Beautiful Hill county stone 3/2 with very open floor plan with tons of windows and bright light. Cute home with wood floors down and carpet up. Water heater gas powered, stove is electric. 3 bedrooms and playroom,craft room, game room or a 4th bedroom. Call today for an appointment! Cute home in Castle Forest. This lovely home has 3/2 with a large living room/ breakfast room and spacious bedrooms. Large backyard with storage shed. Adorable 4 bedroom, 2 bath home with a covered patio and a large fenced backyard perfect for entertaining. Comes with a Washer and Dryer! Lovely white kitchen appliances with tile floors. Gorgeous bathrooms with tile flooring. And wood laminate flooring. Students welcome! Remodeled home in the country, with Granite counters, bamboo and tile floors on acreage. Relax in nature yet minutes to I-35 for work or school. Remodeled 3/2 home on cul-de-sac street. Stained concrete floors, stainless appliances, ceiling fans, and huge wood deck overlooking backyard! 227 Kings Ridge Dr. - SELLING! Awesome home in the Buda area with easy access to I-35. Great features and very large open floorplan. Washer/Dryer included, covered patio, huge living areas, and views from the kitchen! Enjoy the covered patio, the fenced backyard, and raised garden. Wonderful contemporary home on a cul-de-sac. Large living, tons of light and fenced yard with Dog run. Great home in a culdesac, 2 living areas, cozy fireplace, great master bath with separate tub and shower, large back yard! Close to schools and lots of new retail coming to the area! Lovely family home nestled in the outer city limits. 3 bedroom with a study that could be a 4th bedroom, 2 full bathroom or use one bedroom as a study! Includes a deep freezer in the garage, a homemade wet bar, and washer/dryer hook ups. Fenced back yard and two car garage. Pet Friendly!